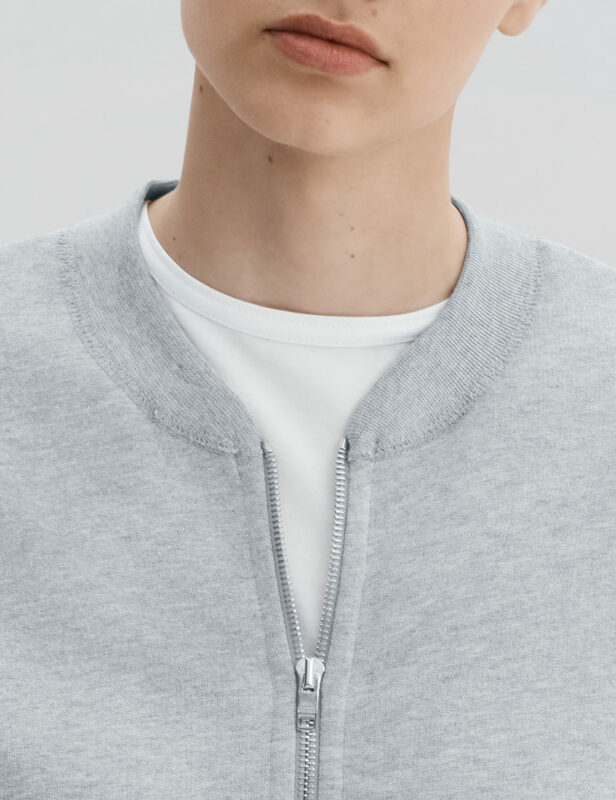 Our utilitarian interpretation of the classic zip-up sweatshirt, guarantee to become your favorite layering piece for those casual days. This refined, yet minimalist bomber jacket is a new contemporary classic. 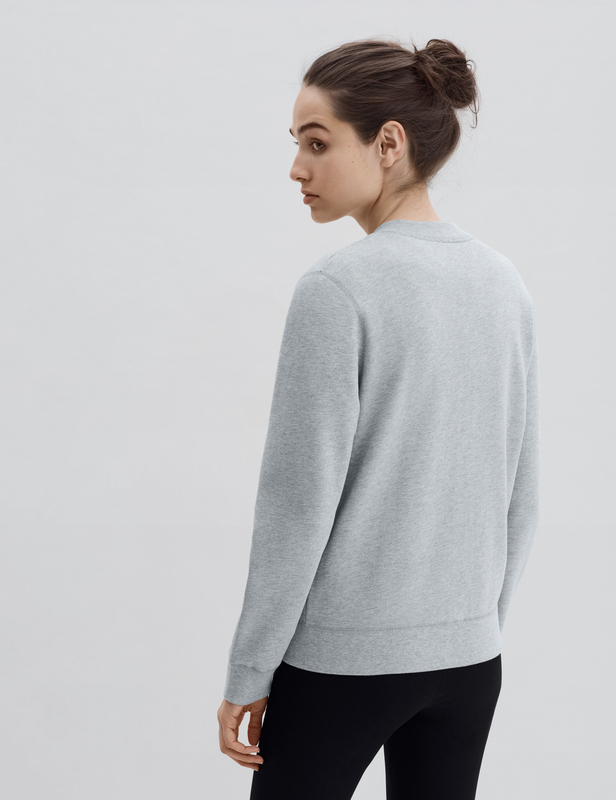 Constructed from an exceptionally soft, yet structured, loopback french terry fabric using our premium Peruvian Pima cotton and Swiss made riri zipper.